IMS is the sole distributor of Claranor technology for the United States. 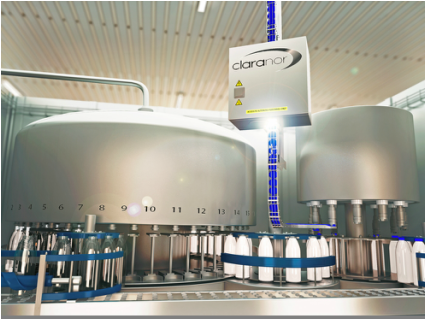 Based out of Avignon, France, Claranor designs and builds pulsed light sterilization units for inline packaging. The dry, non-chemical, compact technology is ideal for new and existing sensitive dairy and beverage filling lines. This unique technology effectively treats caps, preform necks, bottle necks, cups, and lids in an energy efficient manner. To learn more about pulsed light sterilization, click here.